Merle Norman cosmetics is a high-end complete skin care and makeup program that focuses on "every woman." You'll find products that meet the full spectrum of skincare and makeup needs for all women. Merle Norman believed that it was impossible to purchase the absolute right cosmetics without being allowed to try them first. How else can one truly select the right tone of foundation or blush? Better to try it first, learn how to apply the makeup properly, and then have the opportunity to purchase it if you are satisfied. This is the foundation of the Merle Norman Cosmetics Studios, a superior quality product accompanied by outstanding customer service and support from trained Beauty Consultants. Skin needs to be healthy to look its best, and that comes from a combination of good nutrition, plenty of rest, and proper cleansing and surface protection. The skin care line includes toners, moisturizers, cleansers, sunscreen products and other items designed to provide total skin care. All of the Merle Norman line is made from high grade ingredients that are formulated and packaged in one of two research and development facilities right here in the U.S.A. This gives the company the greatest amount of quality control possible, and ensures that the cosmetics are shipped fresh, unlike some other makeup brands that may sit for months in a warehouse while their expiration date is ticking away.The colors used in Merle Norman are designed to complement a wide range of complexions. Not only does the line contain the classic shades many women have preferred through the years, but also more contemporary colors that suit today's women, whether in the office or out on the town. The cosmetics line includes a variety of popular facial makeup as well as nail polish and fragrances. Avon offers you the opportunity to become an associate by selling on a door-to-door basis, but Merle Norman takes it to the next level, selling franchises that allow enterprising individuals to own and operate their own business. As a matter of fact, Merle Norman ranked #1 in the Cosmetics franchise category, and #32 overall in the Franchise 500 rankings for 2006. Start up costs for this franchise range between $28,000, and $150,000, depending on the size of your studio space, and how extensively you want to stock the line. Small Business Association loans are available to approved applicants, and Merle Norman will reimburse up to 60% of your advertising costs when participate in their co-op advertising program. 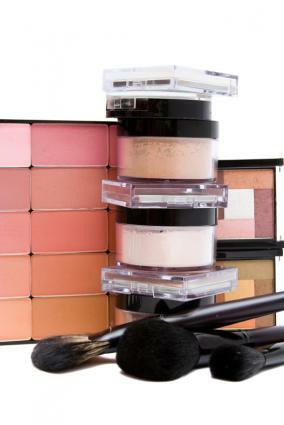 Buying Merle Norman makeup is easy once you locate a studio. If you are searching for Merle Norman cosmetics online, note that the company does not allow their franchise owners to sell products online. You may see the products advertised on online auction sites but there is no guarantee the goodies you get are safe or genuine. Although you cannot find Merle Norman cosmetics online, you can use their website to locate a nearby store. If Merle Norman products are right for you, you'll need to know where the nearest studio is located to you. Use their store locater tool and find the makeup shop around the corner. Here's how to do it. Go to the main page on the Merle Norman website. Move your mouse to the upper right hand side of the home page. You'll see a tab that reads, "Studio Locator." Type in your zip code and hit "Enter." Review the list of available stores nearest you. Once you've visited the individual store you will see what special services they may offer. Try before you buy policy allows you to try makeup before buying it. Accept a free makeover for yourself or a group. Receive tips on skin care and makeup application. Merle Norman was just a Midwestern girl when she decided to take things into her own hands creating a better line of makeup than was currently available; make up that could stand up to Midwestern heat and humidity and still look great. She was searching for cosmetics that would look natural on the skin, and enhance a woman's individual beauty. Once Merle felt she had a great product, she began sharing her cosmetics with friends and neighbors, hoping they would like them as much as she did. She didn't have to hope for long. Soon everyone was returning for more of Merle's makeup, and Merle Norman Cosmetics was born. That was more than seventy years ago, and Merle Norman's makeup line is still going strong today. Even though Merle has passed on, the company is still family run, and Merle Norman franchises can be found in over two thousand locations across North America. It's nice to have a skin care team working for you. When you use Merle Norman, you get more than a lipstick. You get a qualified consultant who's sole purpose is to make you look good. Merle Norman works for you.